The one good thing about Cyber Monday is that you don’t have to bash people square in the face to get what you want; or what you think you want. That, unfortunately, is sometimes untrue of its bigger, meaner, older brother, Black Friday. But firstly, what is Black Friday, and what is Cyber Monday; where did they begin, how did they evolve, and how did they come to be what they are today? Let’s start with Black Friday (and Black Friday deals), the day following Thanksgiving; that day which has forged tentative, gossamer links with how modern Americans show their thanks for all that is good in their lives. Thanksgiving supposedly dates back to when the first Pilgrims were saved from almost certain starvation by the native peoples whom they encountered on arrival to the New World. The newcomers – who happened to be experts at prayer, but had no idea how to survive in the wild – were shown how to grow corn and other crops, hunt, fish and survive from the fruits of the land and sea. In return – as a legend, and popular artistic interpretation have it – a feast was prepared by the Pilgrim brethren to share with their saviors and new friends. And so it has continued. Take as much of that on board as you wish, the fact is this; Thanksgiving exists and is celebrated as the last major US holiday before the onset of the Christmas season and the descent into massive consumerism. It was President Lincoln, in the late 19th century, who gave Thanksgiving its first official parking space on the calendar as the last Thursday in November. Back then the day following Thanksgiving hadn’t yet been christened with its somber moniker, and still basked in the ignominy of being plain old Friday. In fact, the term Black Friday was reserved for another event which occurred in September 1869 when two speculators created a boom/bust explosion in the nation’s gold market; this, in turn, had the knock-on effect of creating vast new swathes of poor people, people who had until recently known only wealth and good fortune. Hence, the day in question was never referred to as Fabulous Friday. To cut a long story short, merchants saw the value surrounding the day after Thanksgiving, when many availed of a long lazy weekend and spent their free Friday (a much better name I think you’ll agree) doing what we all do so well – spending money on things. 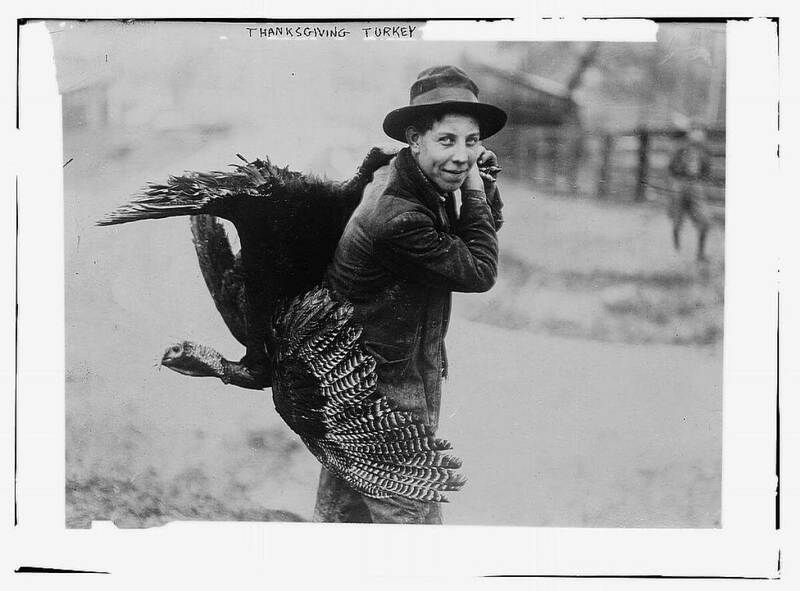 In 1939 – during America’s ‘Great Depression’ Thanksgiving fell on the fifth Friday of November. Retailers were outraged, warning they would go bankrupt due to the shortened holiday season. However, the retailers found a savior in the guise of Franklin D. Roosevelt who, like some omnipotent being, moved the Thanksgiving holiday to the fourth Thursday, allowing retailers to sleep more easily and plan for the bright future which was sure to follow. The habit of not going to work on Friday after Thanksgiving really took off in the 1950’s, a time when the postwar United States was experiencing a period of pronounced economic growth, and where consumerism was the green shoots on which the people fed so ravenously. But it wasn’t until 1966 when the name Black Friday was thrown and stuck to the walls of the institution it has since become. And it came from the most unusual source. It is cited that the Philadelphia Police Department coined the phrase to describe the mayhem caused by traffic jams and excessive crowds flocking to the city’s downtown stores – who in turn had utilized this free Friday by means of offering huge discounts on Christmas gifts for the upcoming season. And so, the Black Friday sales, the love-child of supply and demand, was born. Note: As a footnote to the above, you will also encounter many other explanations of how the term originated – please feel free to choose the one which you like best. 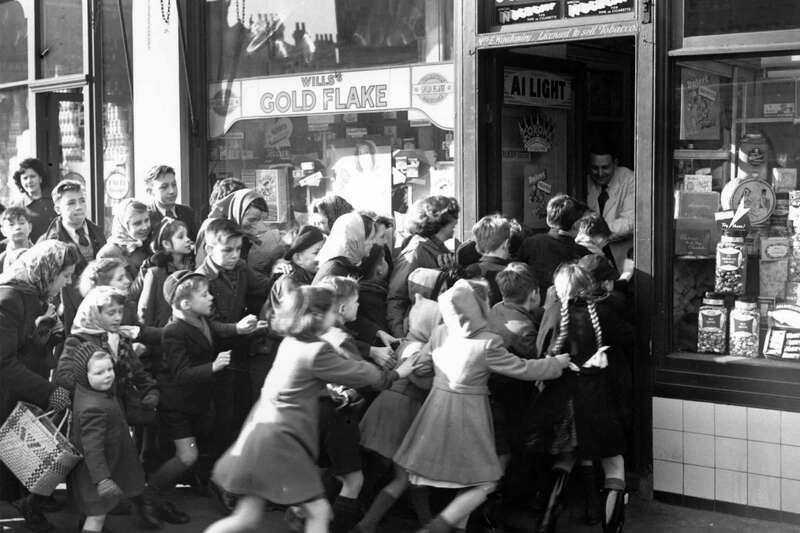 Since Black Friday’s humble beginnings the bricks and mortar retailer’s gloves have come off and the rules have changed. No longer do consumers have to wait until the actual day itself to avail of huge discounts and spectacular Black Friday deals. Year after year the opening times of stores offering mega-savings have inched back in time; 8am openings being replaced by 4am openings, 4am in turn replaced by a midnight opening, up to the point where stores now open at midnight on Thanksgiving itself, much to the delight of the weather-brazen crowds who have seen fit to set up tents and camp out for several days before kick-off and the calamitous rush to barge, barge, barge and save, save, save. It’s safe to say that things have gotten ugly. Just search and view the Black Friday sales’ videos which proliferate across the internet – if you’ve been living in a hole in the ground and haven’t seen them yet, be prepared to be shocked. Very shocked. Scenes of scuffles and fist fights, people being trampled underfoot, the use of pepper spray (by customers on one another, not by police or security staff), and even shootings leading to death have been recorded, all in that frantic rush to secure a flat-screen TV, or some other trinket of modern consumerism, all at a knockdown (excuse the expression) price. Has it really come to this? Isn’t it time we stepped back and took a long hard look at our behavior? Does the value to seller and buyer really exist in such a model? 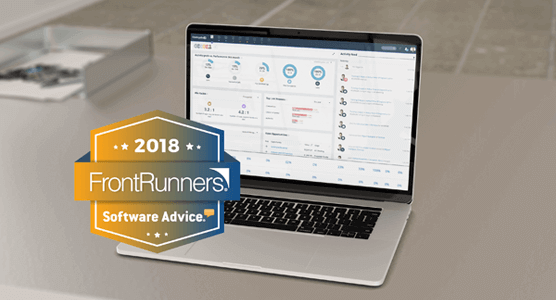 Isn’t a well-conceived sales strategy, and a properly analyzed sales pipeline, planned and implemented using modern Sales CRM software a much more valuable model throughout the whole business year? To put it another way; wouldn’t turkey once a month be better than turkey once a year? With the advent of online retailing, the game has changed yet again, the bricks and mortar retailers are no longer calling all the shots. This has led to the relatively new phenomenon of Cyber Monday – the biggest e-commerce day in US retailing (but, coming to a store near you soon). Cyber Monday is the brainchild of the US National Retail Federation (NRF), who coined the phrase back in 2005. As online purchasing gained a foothold in retailing a trend was noticed that the Monday after Thanksgiving represented a major peak in e-commerce. It is thought that online buyers, now back at their workplace, were availing of their bosses time – and fast internet speeds – to purchase their Christmas gifts, away from the prying eyes of the little ones. 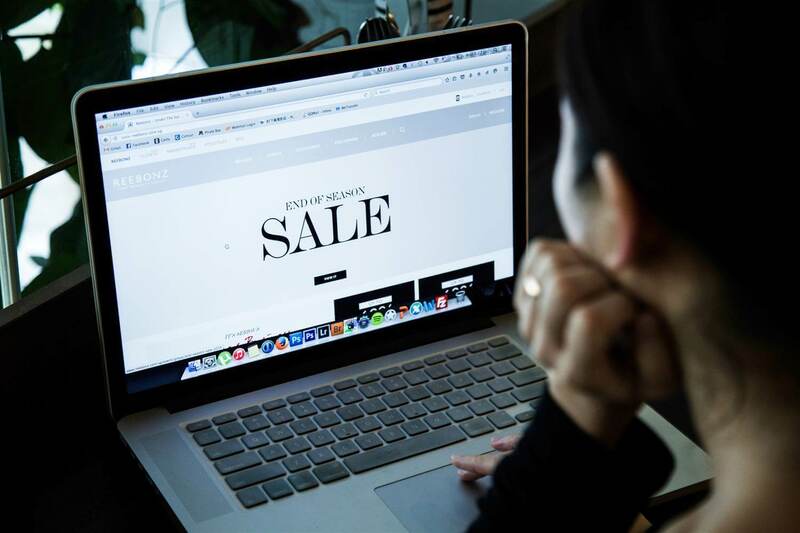 Cleverly, in 2005 the NRF introduced the term Cyber Monday to the media in advance of Thanksgiving, the subsequently generated hype resulted in a substantial increase in online sales, up by over 25 percent on the previous year. Since then Cyber Monday’s popularity and importance with online retailers has grown year after year. This trend reached its pinnacle in 2017 when Cyber Monday became the biggest online shopping day across the US, accounting for over $6.59 billion worth of sales. The real value for consumers is that there are no lines, no camping outside shopping malls for days on end in Arctic conditions, no barging, stamping or trampling, and most definitely no pepper spray or guns, everything is done from the comfort of your home or desk. But you still have to ask yourself before you click; do you really need whatever it is you’re about to purchase? Sure, you can pay a lot less for that new laptop, desktop, printer or digital camera. Cyber Monday has its advantages. But what about the sale of software such, as SaaS (software as a service) solutions, and other user-specific software products? Should the consumer be wary when software is advertised ‘on sale’, or are you really getting bang for your buck? Is there really such thing as Cyber Monday software deals? Is it really value that’s being offered? How about in the case of specialized business software solutions? Just because a software package is reduced in price, that doesn’t make it the right one for you. Is it the right fit for your particular needs, does it solve your particular problems, is it easy to install and use, and does it come with full customer support? Commitment to particular Sales CRM software is the perfect example of where a sizeable discount is no guarantee of value. Buying into a reliable Sales CRM should be born from a particular desire to remedy particular problems, with the right advice, and the right support, and with a definite result in mind, and not just because of tantalizing Cyber Monday software deals. Price, of course, will always be a factor, but a hasty decision, made on a whim and the offer of ‘Savings’ may cost you more in the long run. In conclusion, advice to the buyer, as in all things being offered on the cheap is this; if it looks too good to be true, then it probably is – Caveat emptor. As an addition to Black Friday and Cyber Monday, there’s one more day which is perhaps more worthy of a mention. Welcome to the new kid on the block, Giving Tuesday. This latest addition to the stable of days with names promotes exactly what it says – giving. This is the official day when many charities use the frantic and often ugly scenes induced by mass consumerism to their advantage and lean on the conscience of the public, appealing to their better, more caring side and to give generously to charities and institutions. It’s highly unlikely (but there’s always hope) that Giving Tuesday will ever financially outperform its tougher siblings, Black Friday and Cyber Monday, but it offers us a good chance to reflect on the fact that holidays aren’t just about shopping and consumerism, they’re about family, friends and the communities which surround us.